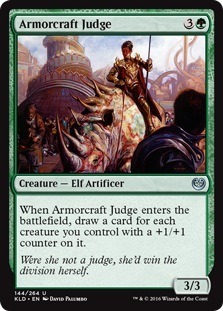 When Armorcraft Judge enters the battlefield, draw a card for each creature you control with a +1/+1 counter on it. 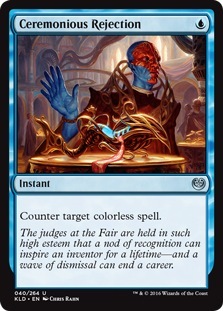 Were she not a judge, she'd win the division herself. 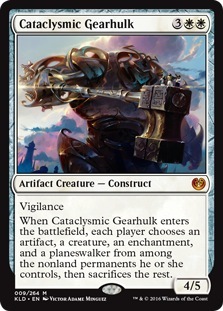 "I've never seen a world where aether weaves through every aspect of nature." 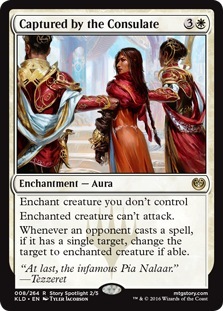 When Aviary Mechanic enters the battlefield, you may return another permanent you control to its owner's hand. 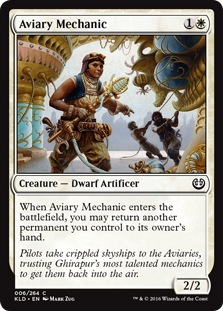 Pilots take crippled skyships to the Aviaries, trusting Ghirapur's most talented mechanics to get them back into the air. 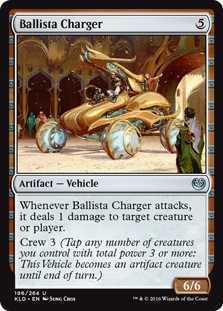 Whenever Ballista Charger attacks, it deals 1 damage to any target. 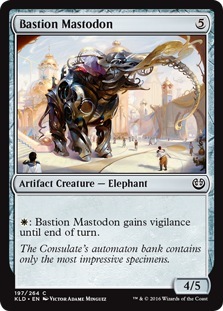 The Consulate's automaton bank contains only the most impressive specimens. 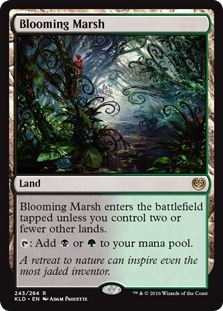 Blooming Marsh enters the battlefield tapped unless you control two or fewer other lands. 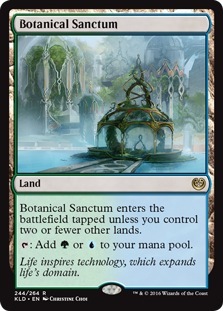 A retreat to nature can inspire even the most jaded inventor. 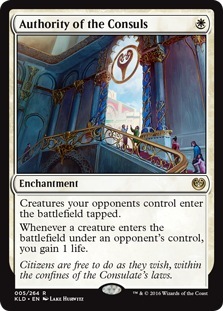 Life inspires technology, which expands life's domain. 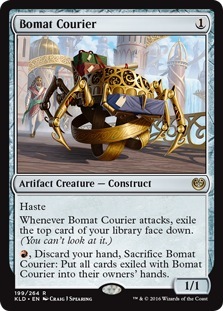 Driven by an insatiable hunger, gremlins never cease feeding. 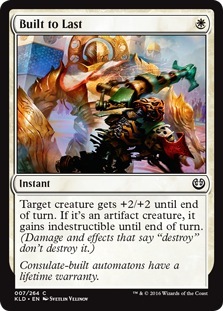 They can destroy a lifetime of work in just a few moments. 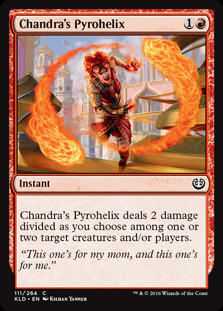 When Bristling Hydra enters the battlefield, you get (three energy counters). 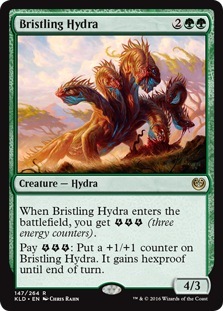 Pay : Put a +1/+1 counter on Bristling Hydra. 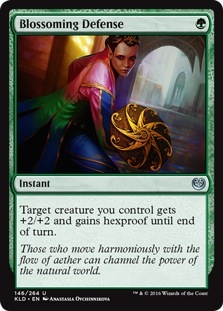 It gains hexproof until end of turn. 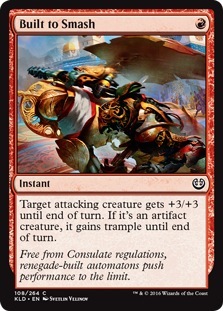 Free from Consulate regulations, renegade-built automatons push performance to the limit. 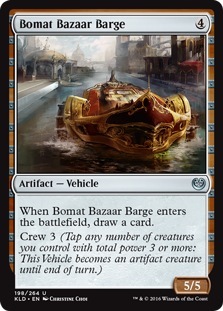 As an additional cost to cast this spell, discard two cards. 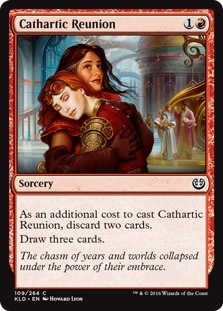 The chasm of years and worlds collapsed under the power of their embrace.